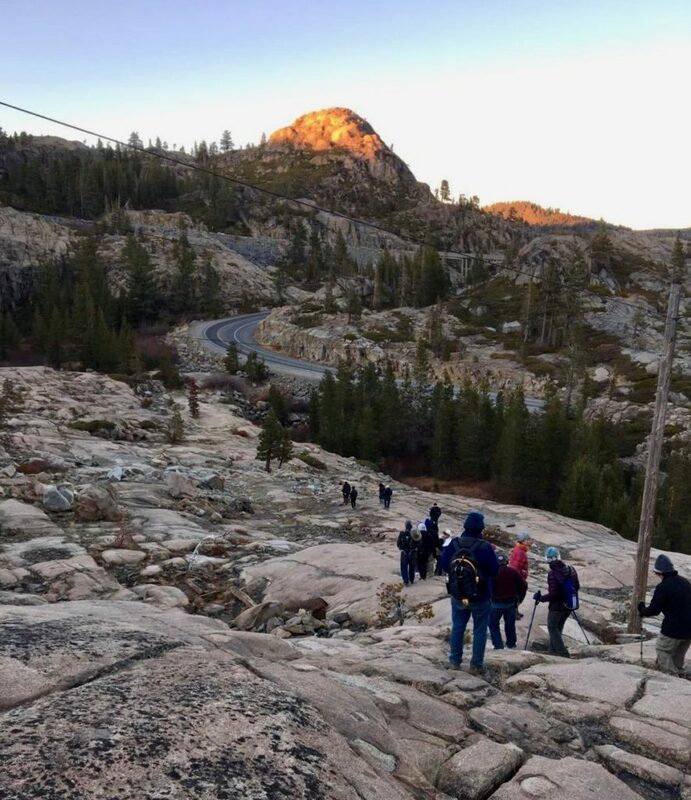 In partnership with U.S. Forest Service and the Bureau of Land Management, the 1882 Foundation organized an interpretive tour of historic railroad sites in the Sierra Nevada Mountains on November 8th and 9th. Railroad history expert Phil Saxon guided the tour and interpreted the history for over 50 participants from California and other parts of the country. 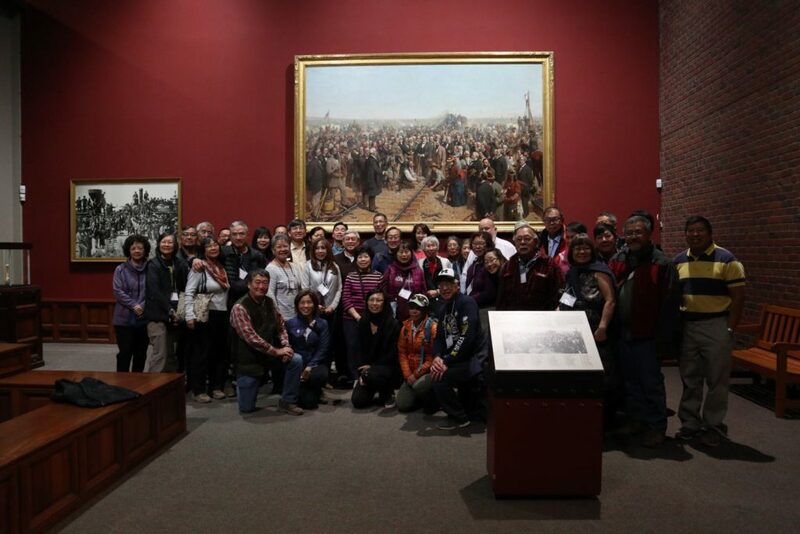 On the first day, participants boarded a bus in San Francisco to travel to Sacramento where the main group met. 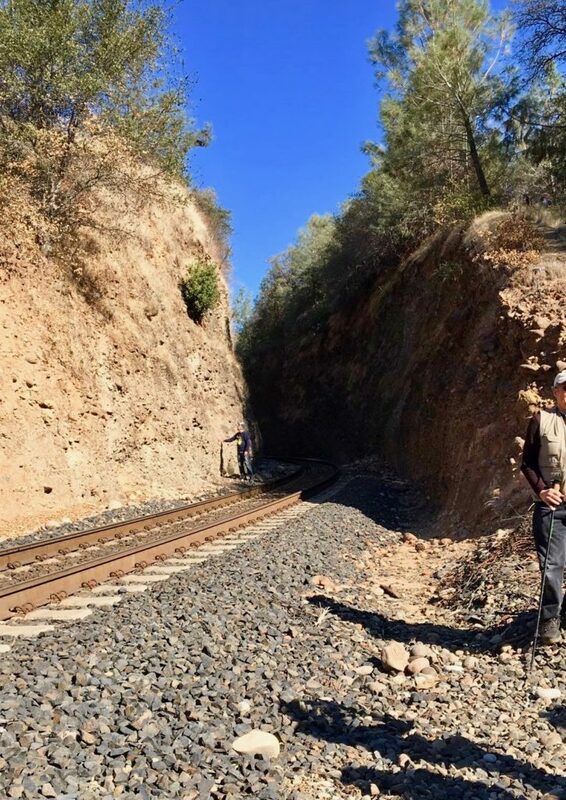 The first stop was at Bloomer Cut in Auburn where the Central Pacific Railroad Company met a major engineering challenge to cut through a rock outcropping that was deemed virtually impossible in the mid-1800s. Here, the company for the first time relied on a Chinese workforce recruited from the among the gold miners in the area. They proved so successful that the company began recruiting directly from China in large scale. Chinese would make over eighty percent of the company’s workforce before the railroad line was completed several years later. 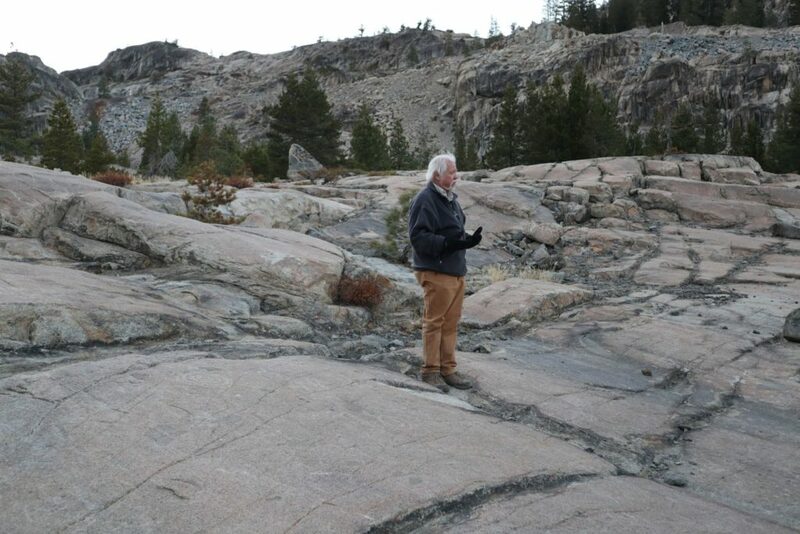 From Bloomer Cut, the tour stopped at several sites before reaching the Summit Tunnel near Donner Pass. A U.S. Forest Service Archeologist met the group and displayed artifacts collected from the area. Following rough, rocky paths, they visited the Central Shaft (a 75 foot deep shaft dug to reach the central point of the tunnel being chiseled from the two ends), the camp site where as many as 3,000 workers lived through two severe winters practically buried in snow, the China Wall with its precise masonry that has held up to over 150 years of traversing railroad trains. Along the climb down to the waiting bus, Native American hieroglyphics along rocks bore witness to the importance of the summit pass through the mountain centuries before the pioneers and the railroads arrived. The second day, after overnighting in Reno, was to be an Amtrak tour back to San Francisco. However, the train’s delay forced a decision to return by way of bus. First stop was at Immigrant Gap and a scenic overlook. It was followed by a hike to the Secret Town Fill. The tour then returned to Sacramento and a guided tour of the California State Railroad Museum.